The Green gram wheat porridge powder can be given after 6 months after the introduction of wheat and green gram separately. 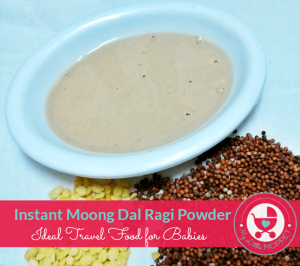 It is an ideal travel food for babies. 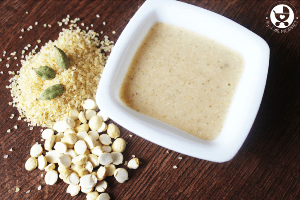 How to make Greengram Wheat Porridge Powder at Home? 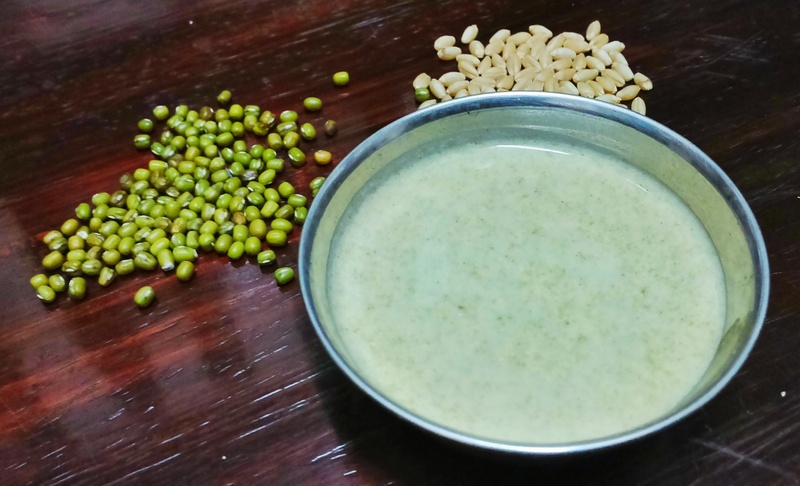 Whole moong (green gram) 10 g.
Clean whole wheat & whole green gram properly. Roast wheat & green gram separately in hot sand. Grind these individually, and mix together. Store the prepared instant food mix in a dry and airtight bottle. Add hot water to a tablespoon of the powder when needed, fruit Purees can be added for sweetness. 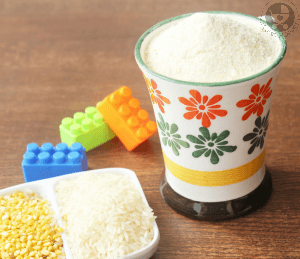 If you’re short on time, you can skip making the powder and buy our Instant Moong Dal Wheat Porridge Powder. Hi! Loved this site and the recipes! 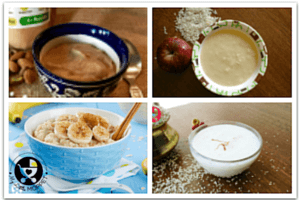 I have been trying out baby food diet and was looking for new instant porridge powder recipes. Can you suggest a few spices to add to this so that i can have this for lunch? I’m 22. Also, are you related to Saishwari natesan by any chance? Hi dear, thank your for your warm words. You can add pepper, jeera or a little cinnamon. No dear I am not related to Saishwari. Can I wash Whole wheat and Green gram, dry it and then roast? How about sprouting? Sprout both? Yes you can dry it and then roast, you can try sprouting the green gram. Hi doctor.. Thanks to you n your blog. So so helpful for feeding my eleven month old boy baby. Just a quick question. Is there any other alternative to roast wheat n green gram other than using sand? Good sand availability is a problem n hygiene is another problem. Does sprouting both separately n then grinding them to a powder (like shown in your home made sprouted cerelac) a good alternative to sand roasting method? I came across your site while searching food ideas for my baby and since then I am in love with it .Thanks so much for all your recipes. My baby is 6 month old. can I give her wheat now? can u suggest wheat recipes? Hole wheat or broken wheat is better for baby? Could you pls suggest me a good brand of wheat powder for my 7 month old baby .. 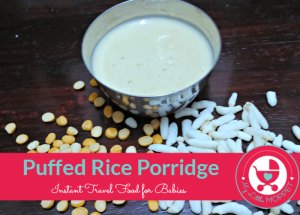 Thank you ..Do I need to roast the atta before cooking or can I cook it directly add little jaggery or fruit puree to it and feed my baby ..
Could you pls suggest me a good brand wheat powder for my 7 months old baby . Hi! Can we roast it in Kadai without the hot sand?